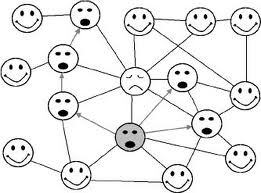 Gossip is the drug of mindless: Did you know that gossip is a form of violence? Have you ever been victim of gossip? People invent false stories about you, or maybe you told something confidentially to someone who has betrayed your trust? Although if we do not give much importance to some rumors, gossip is a form of violence can cause serious problems to those who are victims of it. Veronica Vazquez Garcia, a researcher of Postgraduados, told BBC News that in some cases, gossip is used as a mechanism of social control, discrimination based on sexual preference or gender subjugation, especially against women. Gossip as an instrument of violence occurs in all levels of society, although there are sectors that are particularly vulnerable as adolescents and women in rural communities. The researcher Vázquez García has done several studies on the relationship between gossip and gender violence and its effects on students. Since students come from nearly all of Mexico, have allowed a more extensive in the country. Who's most gossipy: men or women? The surveys are part of the study and these revealed that both men and women are gossipy in the same way. And also, as in other areas, this practice can become a mechanism of punishment, something that other researchers have found in several countries. The victims of gossip can suffer from depression, low self esteem or adjustment problems, but strongly religious societies can have greater consequences. "You start to say that this girl has a boyfriend and her father will not allow it. These girls could even be driven to suicide, "says Vazquez Garcia. According to researchers and civil organizations, gossip can pull over some people to kill themselves. In Mexico there are no statistics on the number of suicides because of it. Gossip have varied topics as sexual, physical appearance or professional performance. 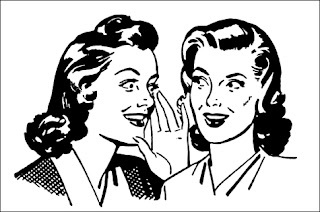 Some researchers claim that gossip is not always negative. According to them means they know information that otherwise would not know, this is in the social field. Such as institutions where there are no clear rules of operation: the lack of internal communication is replaced by the version told in hallways. But gossip itself can damage the reputation of a good person. It is something much more serious than we think!